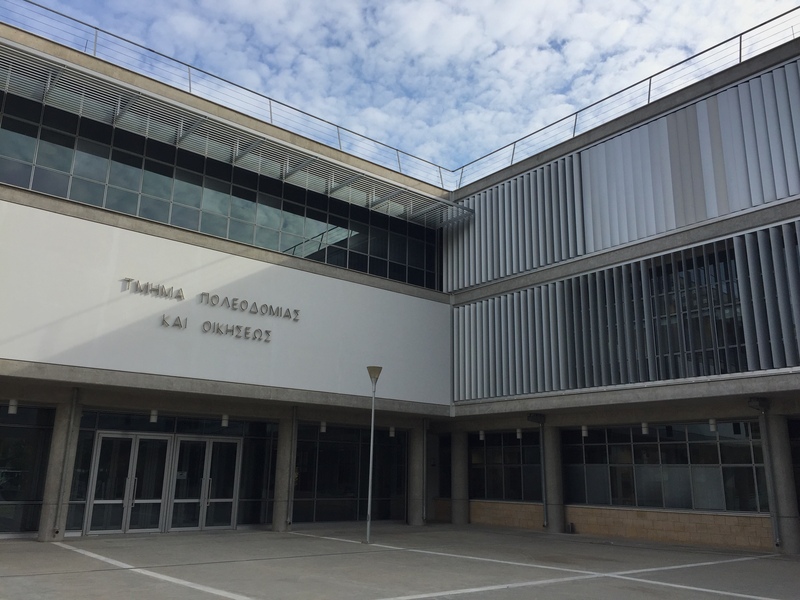 The workshop “Understanding the economic impact of cultural heritage – Better investments through improved evidence collection” took place at the Department of Town Planning and Housing of the Cyprus Ministry of the Interior, in Nicosia, on the 28th of March 2019. 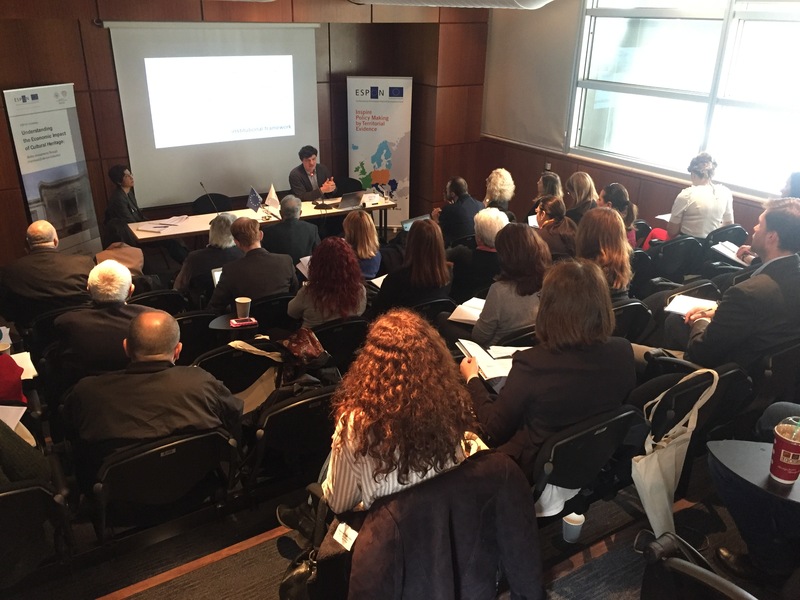 It brought together delegates from various EU MS, seeking to strategically position cultural heritage on the respective national agendas. 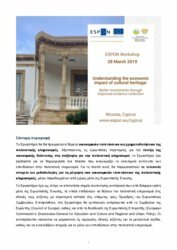 An introductory speech and welcome to the participants was given by Ms Elena Christofidou (CY), highlighting the importance of assessing the economic impact of cultural heritage beyond the recognition of its universal value, setting the scene for the discussions along the day. 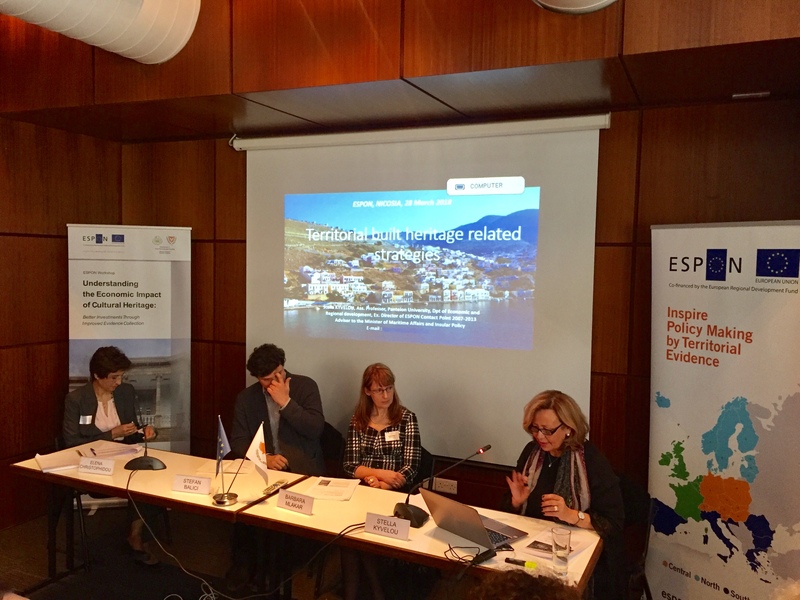 The first session “The Strategic Place of Cultural Heritage in Europe” started with the presentation of Ms Irene Hadjisavva-Adam, from the Cyprus Ministry of the Interior, who presented the Strategy 21 and highlighted the territorial and economic development component which focuses on the relationship between cultural heritage and spatial development. 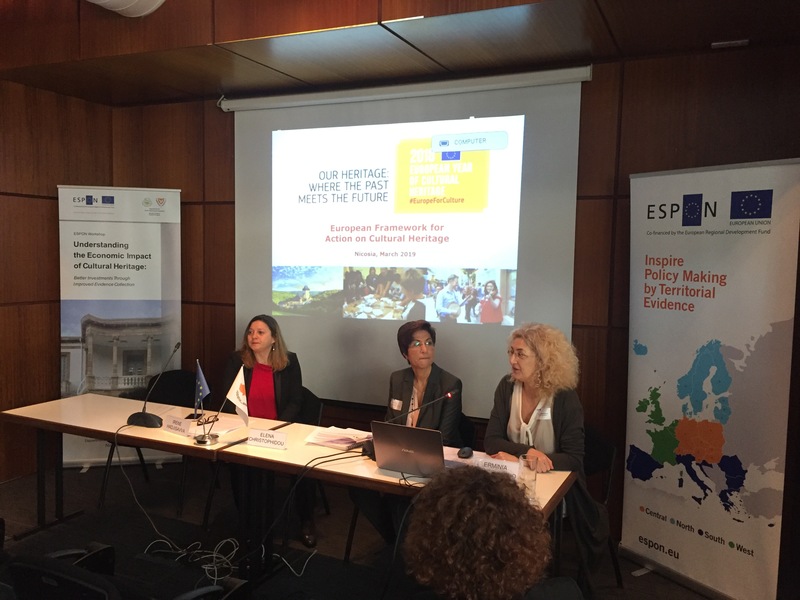 Ms Erminia Sciacchitano, a representative from the European Commission (DG EAC), presented to the participants the New European Agenda for Culture and the European Framework for Action on Cultural Heritage. 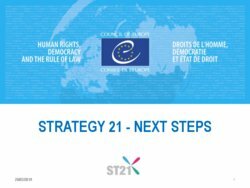 Multi-Stakeholders cooperation in complex structures is a challenge shared by the MS, raising the need for EU cooperation. 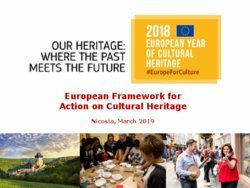 The legacy of the European Year of Cultural Heritage 2018 needs to be maximized, profiting from the momentum created between stakeholders, and now is time to give continuity to the actions within a common direction at EU level, based on four main principles: a holistic approach, mainstreaming, evidence-based policy-making and multiple stakeholders engagement. 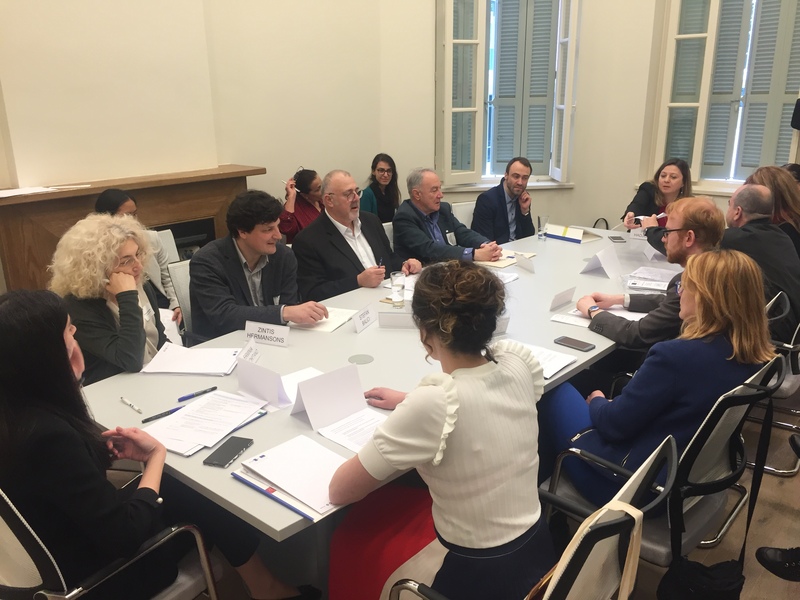 The second session brought together representatives from Romania, Cyprus, Slovenia and Greece to discuss “The strategic place of cultural heritage on national agendas”. 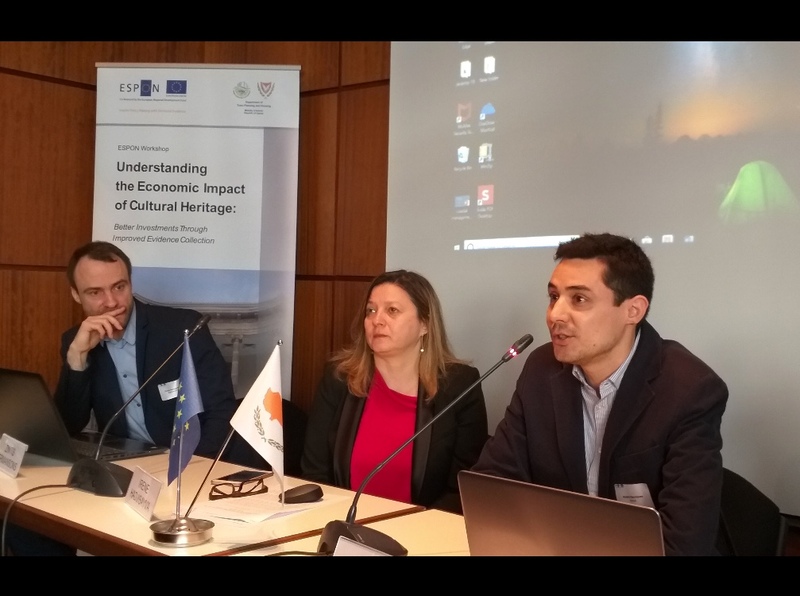 Mr Stefan Balici, from the National Institute of Heritage of Romania, presented to the participants “The Heritage Code", a new approach aiming to achieve a unitary, coherent and up-to-date legal framework. 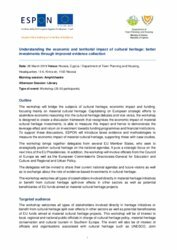 He also pointed out as future needs an increased knowledge of cultural heritage and its impacts as well the use of collaborative funding instruments. 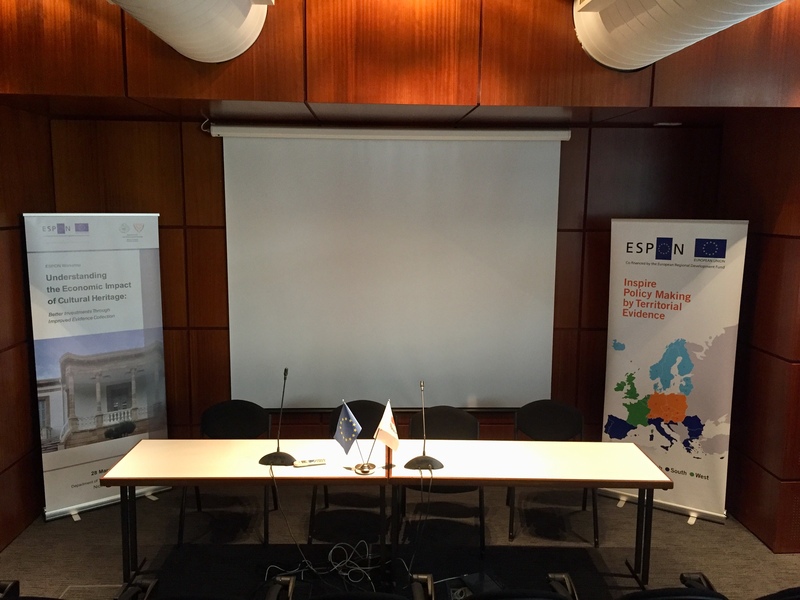 Ms Barbara Mlakar, secretary at the Cultural Heritage Directorate from Ministry of Culture of Slovenia, briefly presented the strategic documents related to cultural heritage in Slovenia and the key objectives of the "Cultural Heritage Strategy 2019-2027" that is expected to be adopted in the next few months. 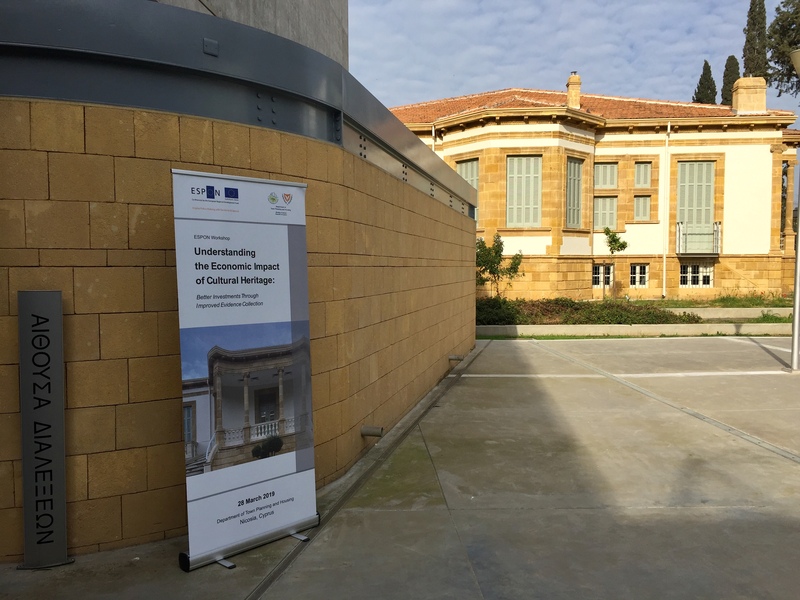 Ms Stella Kyvelou presented some ideas of alternative paths for linking spatial development strategies with cultural heritage, explained and represented to the participants via three case-studies. 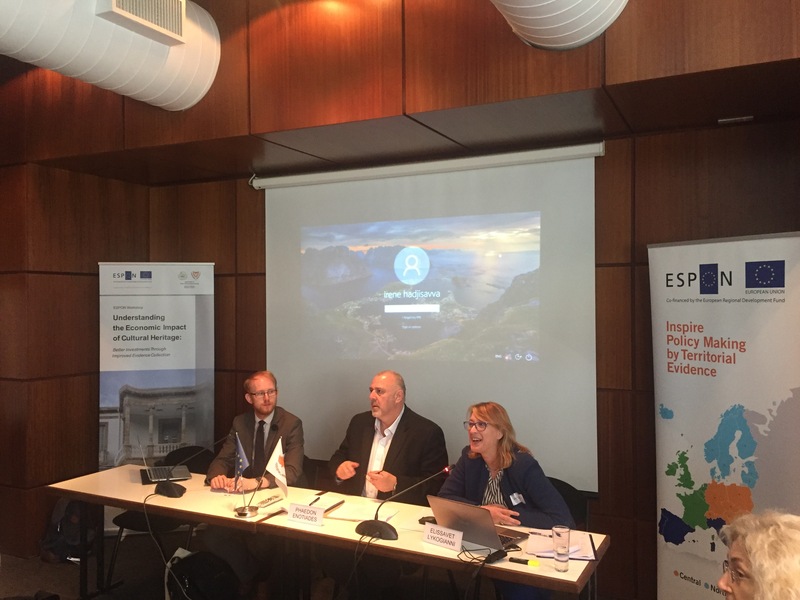 The third session of the day “Towards evidence inspired policy: monitoring the impact of cultural heritage” included a presentation from Dr Elissavet Lykogianni and Mr Richard Procee from VVA about their work in the scope of the on-going ESPON HERITAGE Project. 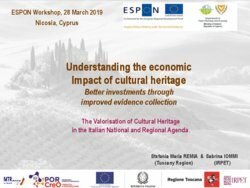 The ESPON’s project “The Material Cultural Heritage as a Strategic Territorial Development Resource: Mapping Impacts Through a Set of Common European Socio-economic Indicators” aim is to quantify the economic impact of material cultural heritage related to: archaeology, architecture, museums, libraries and archives, tourism, construction, real estate, ICT and insurance. 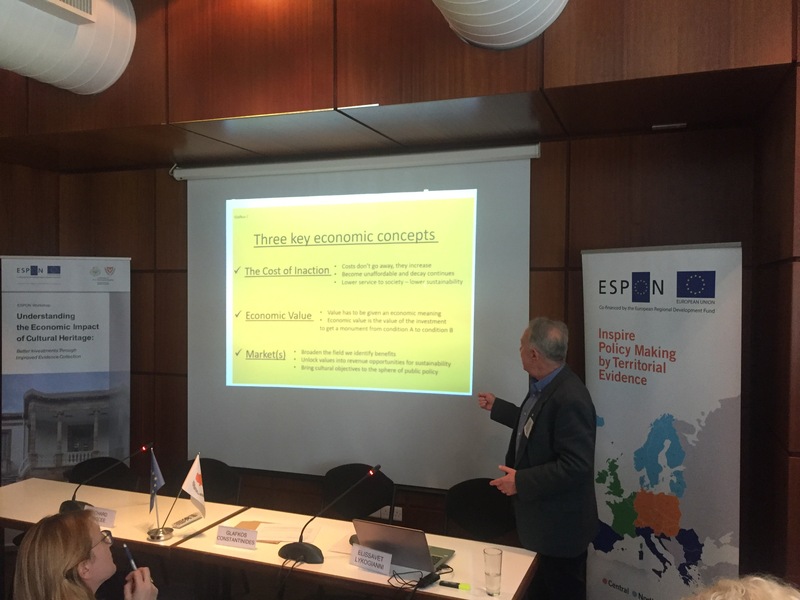 The study covers regions in Austria, Belgium (Brussels, Flanders), Italy, the Netherlands, Norway, Romania, Portugal, Slovakia, Slovenia and focuses on the impact on employment, turnover and gross value added, public expenditure, volunteering. The key operational recommendations highlighted were: (1) the need for a common operational definition of MCH and standard units of MCH to be used in MCH inventories, (2) a common methodology for data collection and engagement with relevant stakeholders to cover data gaps; (3) capacity building, awareness raising and dissemination and accessibility of data between stakeholders; (4) EU and national funding for future research activities and the use of alternative sources for data collection. 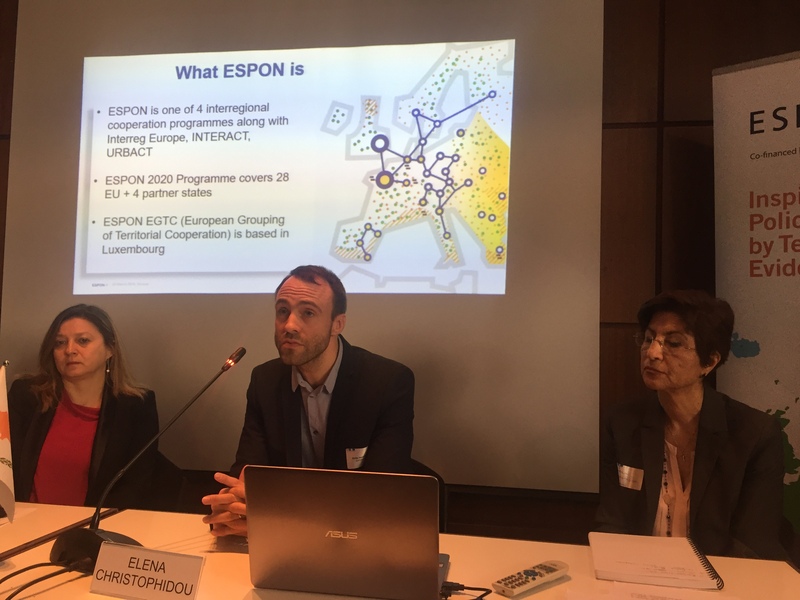 Mr Zintis Hermansons, project expert from the ESPON EGTC presented the next project on ESPON pipeline related to cultural heritage, namely the applied research “Cultural Heritage as a Source of Societal Well-being in European Regions” which will be launched at the beginning of 2020. 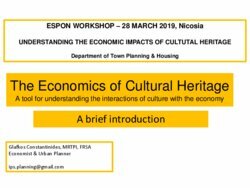 The final morning session featured a presentation from Mr Glafkos Constantinides, an economist and urban planner from Greece, who highlighted some key aspects related to quantification of the economic impact of cultural heritage: (1) the cost of inaction; (2) the economic added value of the investment in a cultural heritage monument; (3) the involvement of markets in a way to broaden the fields of benefits, unlock the values into tangible revenues and bring cultural objectives into the sphere of public policy. The afternoon round table discussion between the participants on the Implications for policy-making and next steps focused on two key aspects after the reflections during the morning presentations: the future role of cultural heritage in national cultural agendas; the role of monitoring indicators in territorial planning, funding policy and future investments. 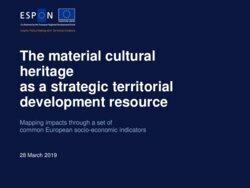 Economic evaluation at the project level but also territorial aggregation is needed, involving other markets and all aspects of cultural heritage – a holistic approach.